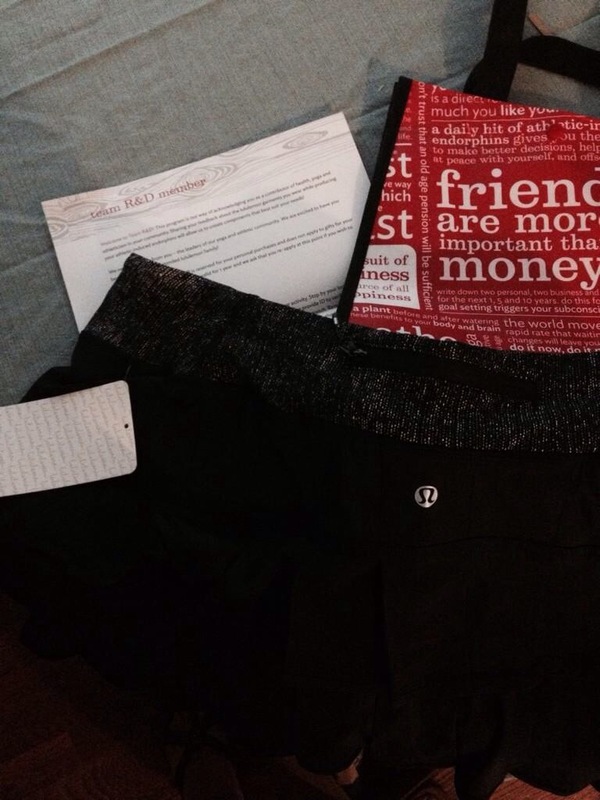 Lululemon: my new favorite!! | Spin. Run. Sew. Repeat. In July, while cruising the downtown shops with my mama, we walked past the Lululemon showroom. A big shiny chalkboard announcing “Friday Morning Run Club” caught my eye. I am so pumped about this. The local running stores, who also sponsor workday runs, are on the other end of the world. This is right in my back yard–or rather, a short 17 min. run/10 min bike ride/5 min car ride from my house. Plus, they meet in the MORNING. Running at 6 pm in the Fresno heat? No thanks, other running stores. I was so excited to join them the first Friday–and lo and behold, the store representative AND the trainer who runs the group were both bridal alterations clients. Small world! Two weeks later, the other store representative was there–a regular in my Wednesday night spin class. She invited me to be a part of the Lululemon Team R&D. Look for reviews to come! I am so thankful to have walked in the store that day. Love the philosophy, love the emphasis on community and wellness, and love the way the employees make it so welcoming. Thanks! Posted in Community, fitness, Lululemon, running. Bookmark the permalink.